Food constitutes the heaviest single category of weight carried by an expedition. But who's complaining? Food provides the necessary fuel for your body to carry loads and climb the route, and it also can serve as one of the great pleasures of the trip. Every climber has preferences in food, so conduct a team survey of strong food likes and dislikes before planning menus. Combat the danger of carrying unpopular foods by providing lots of variety. If some team members don't like one item, there should be several others they will find tasty, or at least palatable. A condiment and seasoning kit with the likes of Tabasco sauce, spices, soy sauce, margarine, and mustard will add interest to bland packaged foods and perhaps salvage the unpopular foods. Although fats have the highest caloric density (9 calories per gram), carbohydrates (4.1 calories per gram) are easiest to digest and provide the quickest energy. Proteins have about the same caloric density as carbohydrates, but are not as easy to digest and are usually accompanied by substantially more fat. A reasonable expeditionary diet has about 50 percent of its calories from carbohydrates, 30 percent from fat, and 20 percent from protein. Plan to provide about 35 ounces (roughly 21/4 pounds) of food per person per day. With no waste, 35 ounces would provide more than 5,000 calories. In reality—because of packaging, non-nutritive fiber, and the food's irreducible water— the food will provide only about 3,900 calories per day. Experience will tell whether this is just right, too much, or not enough. Too much food means extra-heavy loads between camps and possibly a slower trip. Too little means you will begin losing weight. On a trip of three or four weeks, weight loss shouldn't cause a problem. But on longer expeditions, too much weight loss may effect the team's strength and endurance. Food is your major controllable weight factor. As you sit at home planning menus and calculating energy expenditures, you'll be tempted to throw into the menu an extra cracker at breakfast, an extra candy bar during the day, or an extra cocoa at dinner. Resist this temptation at all cost. Unless the extra food never gets past base camp, it will eventually find its way onto the climbers' backs or into their sleds, slowing their pace while fatiguing them faster. If you are planning a twenty-day trip, take food for twenty days, not twenty-one. On unplanned storm days, you will simply have to stretch your rations. Food can always be stretched on an expedition, and it's easier than suffering the consequences of overloaded packs. You can plan foods for early in the trip that are different from those for later as you get up on the mountain. Candidates for lower elevations and warmer climes are foods that are time-consuming to prepare, such as pancakes; items that suffer from freezing, such as cheese and peanut butter; and canned foods. Foods carried to higher altitudes should be very light and require a minimum of preparation, such as freeze-dried items, instant noodles, instant rice, and potatoes. Try to eat local food on approach marches and at base camp so you don't tire too early of expedition food. Packaging and organizing food is an important element of planning. Take the food you've bought for the expedition and get rid of as much of the commercial packaging as possible. Repackage the food to minimize this packaging, reducing the weight you have to carry in and the garbage to be carried out. Keep the preparation instructions from the packaging material. You should prepackage rations into person-days (put in one bag the food for one person for one day), or into group-days (put in one bag the food for the entire group for one day), or into tent-days (put in one bag the food for one tent for one day). However you do it, measure the food into the correct portions and label it. Clear plastic sacks help organize the food while keeping the contents visible. Adequate hydration is the first line of defense against altitude sickness. Bring lots of soups, hot drinks, and cold-drink mixes to help motivate you into drinking the necessary fluids. Contaminated water plagues nearly every part of the world. The expedition kitchen must be able to furnish adequate water for everyone through chemical decontamination, filtering, or boiling. Fuel cannot be carried on airlines so it must be available at your destination. Multifuel stoves may be good insurance in foreign countries where white gas is not readily available. Even with a multifuel stove, check the fuel's compatibility with the stove before heading into the mountains. If you're using kerosene or a similar low-volatility fuel, be sure to buy alcohol or gas for priming the stove. The cleanliness of fuel in foreign countries is always questionable. Bring a filter and filter all fuel before using, and clean the stove often. 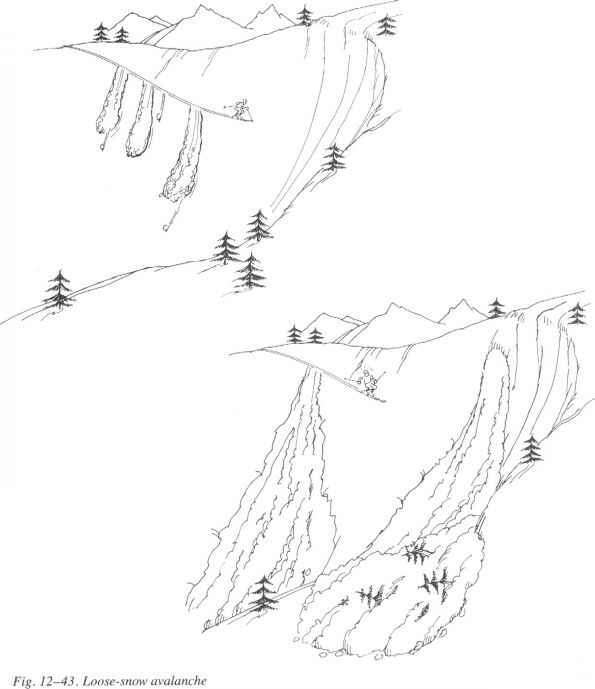 Plan on using between !/4 pint and 1 /2 pint of fuel per person per day, depending on how much water must be boiled for purification or melted from snow. Fuel containers are usually supplied in Alaska or Canada, but you must provide your own elsewhere. Aluminum containers as small as 1 liter are fine if you don't need to carry much fuel. For larger quantities, bring 1-gallon gas cans or sturdy approved plastic fuel containers. They should be new, as airlines object to containers with residual fuel vapors. Plastic bottles sold in foreign countries have a reputation for leaking. To save a bit of weight, the party can carry an altimeter and a compass as pieces of group equipment rather than having each climber carry separate ones. Also among group equipment are wands, used for marking routes, camp perimeters, gear caches, and snow shelters. Carry long wands if there's a chance of significant snowfall. Tents are also community equipment. See the section on winter camping earlier in this chapter for guidelines on tents. The party may carry radios to get weather information, call for emergency help, or communicate between climbers at different locations. The main choices are citizens' band, marine band, or FM. You'll have to do some investigating to determine both the technical feasibility and the legality of their use. The route determines the climbing gear you need. A route that involves only glacier travel may require just the basics: rope, crampons, and ice axe. Technical routes can take the whole gamut of equipment, from ice screws, snow flukes, and pickets to nuts and pitons. Depending on the style and organization of the trip, climbing gear can be personal or community. On a technical route where climbers operate in self-sufficient pairs, climbing gear should be personal or left to each rope team to work out. In other cases, virtually all climbing gear—carabiners, runners, screws, and so forth—can be treated as group equipment. The choice is up to the team. Certain pieces of climbing gear, such as crampons and ice axes, are indispensable, and a large party may want to carry spares as insurance against equipment failure or loss. The decision on what ropes to take also depends on the route and its difficulty. For technical pitches, you'll use use either a single rope (10.5 or 11 millimeters in diameter) or double or twin ropes (each 8 or 9 millimeters). On a glacier route, a single 9-millimeter rope may be adequate. Keep in mind, however, that an expedition puts extraordinary wear and tear on the rope because of its daily use in bright sunlight. The team also needs to decide how much rope to bring for fixed line along the route. Fixed line is usually a polypropylene braided rope or a nylon kernmantle rope. Polypro is lightest and cheapest, but kernmantle is better for areas of high use. • Tape. Gray duct tape seems to be the universal repair favorite, but other tapes, such as ripstop fabric tape or filament tape, are useful. • Sewing kit for permanent repairs or those beyond the capability of tape. • Extra stove parts and the tools to disassemble the stove. • Tent-pole splices or extra tent poles. While the tent body or fly can be patched with tape, broken tent poles must be repaired or replaced. • Extra crampon parts, such as screws, nuts, and connecting bars, and the necessary tools. • Patch kit for inflatable foam pads that spring leaks. • Also: crampon file, pliers, wire, accessory cord, pack buckle. An expedition usually carries a comprehensive first-aid kit, which is assembled after everyone in the party has had input into the selections. Keep in mind the isolation of the peak, the specific medical conditions of team members, and their medical knowledge. Discuss your group's medical needs with a doctor who is familiar with mountaineering. The first-aid kit may include such specialized or prescription items as a strong painkiller, antibiotics, a dental repair kit, and a suture kit. Be sure to carry a first-aid manual. Expedition climbers need clothing and sleeping bags that can stand up to prolonged use under severe conditions. 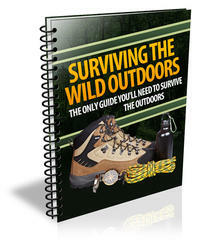 The clothing and equipment suitable for winter climbing, outlined earlier in this chapter, works well for expeditions. The desired comfort rating for your sleeping system varies with the climate and season, but a good general rating for expeditions is about -30 degrees Fahrenheit (about -35 degrees Celsius). Every person on an expedition team needs a big pack, with a capacity between 5,500 and 7,000 cubic inches, because there are times you will be called on to carry "impossible" loads. The pack also must be comfortable while you are wearing a climbing harness. You may want mechanical ascenders, rather than prusik slings, both for crevasse rescue and for protection while climbing with a fixed line. The ascenders permit one-way movement by gripping or squeezing the line when your weight is on them but letting you move move them when they are unweighted. The ascenders, under such brand names as Jumar, Clog, and Gibbs, are necessary to handle the large, heavy expedition loads involved in any crevasse rescue. On fixed line, the prusik knots are unsafe because of the time required to unfasten and reattach them past each anchor you encounter on the way up or down. Although two ascenders are the norm, one plus a prusik sling can work if you need to cut down on weight. Regardless of the choice, make sure the system can be operated while you're wearing bulky gloves or mittens. • Prescription glasses. Carry an extra set of prescription sunglasses. • Journal. An expedition can make you introspective. A journal made of waterproof paper (look under surveyor supplies at a book store or stationery supply store) and some pencils can help pass the time. • Books. You can catch up on reading while waiting for flights, or during rest days and storm days in the field. Coordinate your selection of books with other team members to avoid repetition and provide variety. • Personal hygiene. On cold-weather trips where water is at a premium, chemical wash/wipes can provide a refreshing sponge bath. • Pee bottle. During storms and cold nights, the pee bottle eliminates those unpleasant traipses to the latrine. Be sure the bottle has a secure top.